The 2016 Advocacy award was presented to Open Durham / Preservation Durham. Friends of Oberlin Cemetery received an honorable mention. No award was made in 2015. The 2013 winners of the VAF Advocacy Award are the Cultural Centre Le Griffon for restoration and conversion of the old cold storage warehouse at L'Anse-au-Griffon; and, the Cloutier family for restoration, management and development of the former Robin general store at L'Anse-à-Beaufils, both in Gaspé-Percé, Quebec. The cold storage of L'Anse-au-Griffon was built in 1942 by the Fishermen Cooperative of L'Anse-au-Griffon. 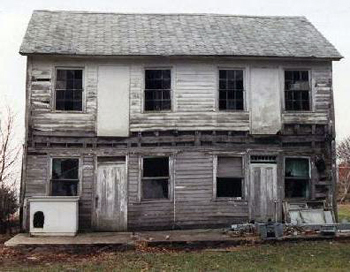 In 1999, when the building had fallen into disuse and was in a bad state of repair, residents of L'Anse-au-Griffon, mindful of the value of the building and the potential of the site, came together with the Association of a Village Fishermen to form the Provisional Committee for the Safeguarding of the Warehouse. In 2001, the provisional committee became the Committee of the Warehouse of L'Anse-au-Griffon. With the financial support of the community and various public authorities, the Committee began work in 2003 to restore the building. The Centre Culturel Le Griffon opened two years later. Today, the center includes the Cafe de l'Anse (café-bistro), a multipurpose room, an exhibition hall, a community center with Internet access and a conference room and meeting facilities. With the help of many volunteers, the Cultural Center has been profitable since 2011. Recipient: The Cultural Centre Le Griffon, represented by Vincent Malouin. In 1970, the former Robin General Store, built in 1928, was bought by Gaston Cloutier and operated by him until his death in July 2000. Following a family meeting involving the mother, Leonie Bourget and her three sons, Remi, Ghislain and Yannick, it was decided to sell the most recently acquired good in the store and use the revenue to renovate and restore the building. Remi, the instigator of the project, acted as the prime contractor, administrator, researcher, curator, and interpréter. Open to the public since the summer of 2001, the "authentic historic general store of 1928" has become a good example of management of a heritage building by a family and community. Recipient: the Cloutier family represented by the prime contractor for the project, Remi Cloutier. Restauration de l’ancien entrepôt frigorifique de L’Anse-au-Griffon converti en un Centre culturel. L’entrepôt frigorifique de L’Anse-au-Griffon a été construit en 1942 par la Coopérative des pêcheurs de L’Anse-au-Griffon. En 1999, au moment où le bâtiment est inutilisé et dans un état lamentable, des citoyens de L’Anse-au- Griffon, soucieux de la valeur du bâtiment et du potentiel de ce site, constituent avec l’Association des pêcheurs du village un comité provisoire pour la sauvegarde de l’entrepôt. En 2001, le comité provisoire devient le Comité de l’Entrepôt de L’Anse-au-Griffon. Grâce à l’appui et au soutien financier du milieu et de diverses instances, le Comité débute en 2003 les travaux de restauration du bâtiment de sorte que le Centre culturel Le Griffon ouvre ses portes deux ans plus tard. Aujourd’hui, le Centre comprend Le Café de l’Anse (un café-bistro), une salle multifonctionnelle, une salle d’exposition, un centre d’accès communautaire à Internet et une salle de conférence et de réunion. Avec l'aide de nombreux bénévoles, le Centre Culturel est rentable depuis 2011. Récipiendaire : Le Centre culturel Le Griffon, représenté par Vincent Malouin, instigateur du projet. Restauration, aménagement et mise en valeur de l’Ancien Magasin Robin de L’Anse-à-Beaufils, grâce à une initiative familiale. L’ancien magasin Robin datant de 1928 est acheté par Gaston Cloutier dans les années 1970 qui l’opère jusqu’à son décès en juillet 2000. À la suite d’un conseil de famille réunissant la mère, Léonie Bourget et ses trois fils, Rémi, Ghislain et Yannick, on décide d’écouler la marchandise récente du magasin et d’utiliser les revenus pour rénover le bâtiment et le mettre en valeur. Rémi, l’instigateur du projet, en sera le maître d’œuvre : administration, recherche, présentation des objets et animation. Ouvert au public depuis l’été 2001, le « Magasin général historique authentique 1928 » est devenu un bel exemple de prise en charge d’un bâtiment patrimonial par une famille et sa communauté. Récipiendaire : la famille Cloutier représentée par le maître d’œuvre du projet, Rémi Cloutier. 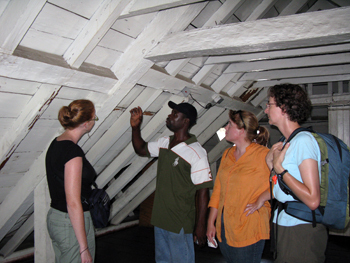 The VAF Advocacy Award recognizes exemplary achievements in advocating for the preservation of our vernacular built heritage. It honors those who invest their time and energy to protect and promote these important heritage resources, thus insuring they will be handed down to future generations. Tonight we honor an individual who has invested much of his life in exploring ways to preserve early settlement buildings in the Lead Region of southwestern Wisconsin. He has been an inspiration to his community and fellow preservationists advocating tirelessly for the restoration of these early buildings. The 2012 recipient of the VAF Advocacy Award is Mr. Dana Duppler, Executive Director of the Lead Region Historic Trust. Through his study and conservation work, Dana Duppler has become the foremost authority and advocate for handcrafted pioneer-era Lead Region buildings and has been instrumental in saving many of them from complete ruin or demolition. Since his first historic building project in 1975, Dana has inspired and taught others the value of these properties that illustrate the region’s early construction methods. 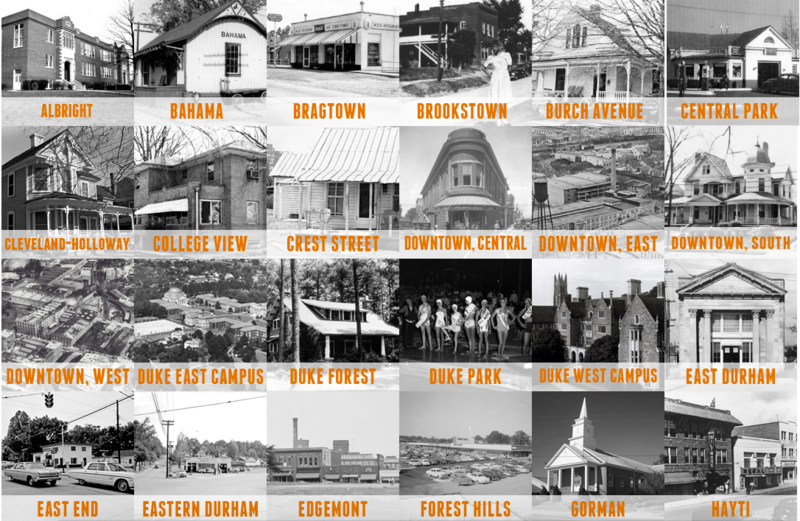 In 1992 Dana established the Lead Region Historic Trust, dedicated to furthering the appreciation and restoration of the area’s early vernacular buildings. The Trust’s newsletter, Lead Region Preservation and website have played an important role in these activities reaching a wider audience for ongoing support. As executive director, Dana has been a key figure in creating strategies that seek to retain these buildings as part of the region’s heritage landscape. The field experience of this VAF conference was notably enriched by the opportunity to explore the Trust’s historic Prairie Spring Hotel and the collection of pre-Civil War cottages in Wiota, all illustrating Dana’s commitment to historic preservation. Dana Duppler’s lifelong "passion to preserve" embodies advocacy for historic properties in the best sense, and the VAF is pleased to present you with this award. Peter Maxwell of Falmouth Heritage Renewal ignites a lime rick, used in the traditional preparation of mortar and plaster. Peter Maxwell discusses framing details with Falmouth Field School students. Peter Maxwell has worked for well more than a decade for the material preservation of this remarkable city. 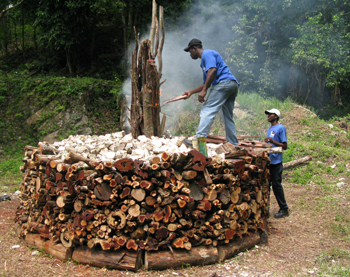 As Falmouth Heritage Renewal's longest-standing Jamaican employee, Peter has been and remains an absolutely essential component of the preservation of Falmouth. He began by working with Jim Parrent, FHR's American director, to build relationships of trust in the community by digging soak-away latrines in the heart of the town's poorest district. Once established in the community, Peter has become an essential advocate for preservation among everyday residents of the community, working to help locals understand the significance of preserving Falmouth's smallest and most vulnerable vernacular buildings. He has also spend untold hours as a mentor in FHR's crafts training program, working to help at-risk youth embrace the disciplines of preservation carpentry and masonry, in the hopes that they translate those skills into viable employment with local building contractors. Peter has also been an essential fixture in the success of UVA's Falmouth Field School in Historic Preservation, serving for years as the American students' host in and to the community. We could never have completed our work without the steadfast and long-suffering Peter Maxwell. I venture to suggest that there has not been a single preservation effort in the city of Falmouth that has been undertaken without his deft hand and faithful commitment to the job at hand. It is for these reasons and many more that Peter Maxwell is the recipient of the 2011 VAF Advocacy Award. No award was made in 2010. The Vernacular Architecture Forum encourages and supports citizen efforts to protect our vernacular built heritage. We do so in part through our Award for Advocacy, which was established to recognize exemplary efforts and achievements in advocacy. This year, the VAF’s Advocacy Committee presented its second Award for Advocacy at the Butte Conference to Butte Citizens for Preservation and Revitalization, better known as Butte CPR. Butte CPR lives up to the high standard set by our inaugural award last year in Fresno, which was presented to the "Preserving California’s Japantowns" project, a statewide effort to identify, research and document historic resources located in Japantowns throughout California. All those who attended the Butte Conference experienced the fruits of Butte CPR’s work firsthand. Founded 15 years ago, Butte CPR works with local government, businesses, civic organizations and individuals to preserve and promote the nation’s largest National Historic Landmark District and the nearly 6,000 historically-significant resources that it encompasses. The City of Butte was literally built on a foundation of copper whose exploitation at first sustained the community, and then consumed it. While it’s hard to ignore mining’s legacy of environmental devastation, Butte CPR recognizes that this same legacy has endowed Butte with a unique heritage that--if wisely protected and promoted-- can provided the community with a sustainable future, providing the city with its competitive edge. Through their educational tours, lectures, preservation workshops, website, articles, and participation in public forums and events, Butte CPR promotes public awareness of the value of historic architecture. Their award program celebrates individuals and groups for outstanding stewardship of historic structures. 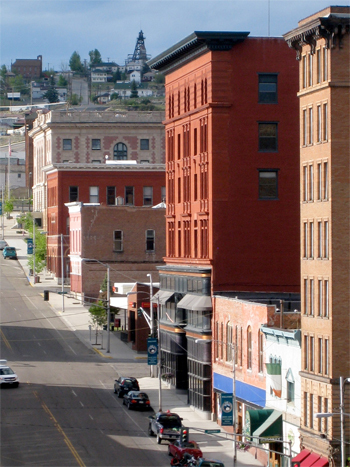 Butte CPR provides financial assistance to preserve, restore, and revitalize historic buildings. Butte CPR's efforts have helped save or otherwise benefit dozens of buildings, both residential and commercial, including the Mary MacLane House, the Dumas Brothel, the O’Rourke, and the Acoma. When appropriate, they mothball abandoned buildings, securing and stabilizing them for future use. To date, they have given nearly $25,000 in small Historic Improvement Grants to local property owners. Since its inception, Butte CPR has actively engaged in local government and policy. CPR advocates for economic revitalization through historic preservation that is supported by preservation-friendly public policy, and played a central role in the 2007 passage of a historic preservation ordinance that includes mandatory demolition reviews and renovation design guidelines. In their nomination of Butte CPR for the VAF Award for Advocacy, the Montana Preservation Alliance noted that Butte CPR is a superior award candidate for its outstanding initiative, tenaciousness, creativity, and commitment. The VAF board couldn’t agree more, and congratulates Butte CPR for its achievements. The VAF made its inaugural Award for Advocacy at the recent Fresno Conference. The award was presented to Donna Graves and Jill Shiraki on behalf of the Preserving California’s Japantowns project. Preserving California’s Japantowns is the first statewide effort to identify, research and document historic resources located in Japantowns throughout California. The project embodies all the qualities the Award for Advocacy was created to recognize. The Advocacy Committee was especially impressed by how the project has fulfilled the award criterion to "advance preservation and awareness of vernacular buildings and landscapes through education, publications, media, technology, and/or public outreach." 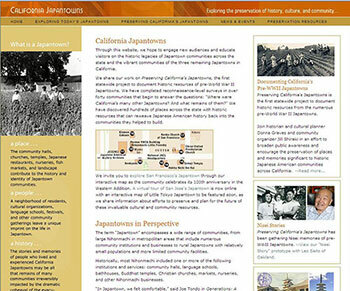 The effort was consciously designed not only to document resources associated with California's Japantowns but also to lay the groundwork for stewardship, preservation and interpretation of these sites, whose histories have been hidden due to the violent disruption of WWII incarceration of all people of Japanese ancestry on the West Coast.